I hate to say I told you so, no wait that’s a lie; I love to be right and hate to be wrong. For the third strait year since starting to do so I picked the World Series winner. Last year I had a dog in the fight, my San Francisco Giants, this year I didn’t and I enjoyed the playoffs and World Series immensely. That being said this is about the incredible, improbable, amazing and unbelievable epic regular season comeback and playoff run of the St Louis Cardinals. In order to keep this from being the mother of all posts I have included links to the articles that I wrote about their accomplishment as September came to an end and as the 2011 Cardinals became part of baseball history and immortality. Back in August I remember talking with a friend about the pennant race. At the time the Cardinals were 10.5 games behind the Braves in the NL Wild Card Race. They had endured major adversity, their closer Ryan Franklin was released, Albert Pujols had rebuffed a contract offer and refused to negotiate during the season and to make matters worse he had broken a bone in his wrist and was expected to be out at least 4 weeks. Expected lead starting pitcher Adam Wainwright went on the disabled list on March 25th and never pitched a game in the season. The Cardinals suffered injuries and adversity throughout the season and by all calculations it looked like they were done. On the morning of August 25th Tony LaRussa and the Cardinals woke up having been swept by the Los Angeles Dodgers at home in a series where the Dodgers outscored the Cardinals 24-7. They were so far out of the Wild Card that all the talk was not about the playoffs but finishing well. Then something changed though it as imperceptible at first. They took 3 of 4 from the Pirates and traveled to Milwaukee and swept three from the division leading Brewers and were now 8.5 games behind the Braves for the Wild Card. But then the Cincinnati Reds took 2 of 3 and it looked like the Cardinals might fade. They got their groove back and took 2 of 3 from the Brewers at home and swept three from the Braves. On September 11th the Cardinals were 4.5 out of the Wild Card. The Giants had fallen back to 7.5 out and like others I started to notice the Cardinals. The Cardinals then made a road trip throughPennsylvaniaand took 2 of 3 from the Pirates and 3 of 4 from the Phillies before coming home to face the Mets. With just 9 games left the Cardinals were 2.5 games behind the faltering Braves with the Giants clawing at their heels just 4.5 games behind the Braves. The Cards took two from the Mets on the 20th and 21st but then dropped a game to the Mets and lost 5-1 in Chicago. On the 24th they were 2 behind the Braves with 5 games left. They then won two one run games against the Cubs, 2-1 on the 24th and 3-2 on the 25th. The morning of the 26th of September they were down by 1 game. The Cardinals had to face the lowly Houston Astros in Houston while the Braves had to face the Phillies. Unbelievably the Cardinals lost to the Astros on the 26th but the Braves also lost so the lead was still one game, had the Braves won the best that the Cardinals could hope for was a one game playoff with the Braves. On the 27th they defeated the Astros 13-6 while the Braves lost yet again and with one game left the Cardinals had caught the Braves. September 28th dawned with two epic comebacks and two epic collapses in the making. In the American League the Boston Red Sox had lost a 9 game Wild Card lead and were tied with the Tampa Bay Rays in large part due to the lowly Baltimore Orioles who had taken 4 of 6 games from the Red Sox in the previous 9 days asTampa could not seem to lose. While many experts thought a comeback by the Rays was possible none had thought that the Cardinals would be tied with the Braves on the final day of the regular season. Two Tied Wild Card Races: Who would have Thunk It? On the 28th Chris Carpenter took the hill for the Cardinals and pitched a 2 hit shutout as the Cardinals pounded the Astros 8-0 with the Braves still playing the Phillies. As the Cardinals waited in the visiting clubhouse at Minute Maid Park the Braves had a 3-1 lead in the bottom of the 6th against the Phillies. 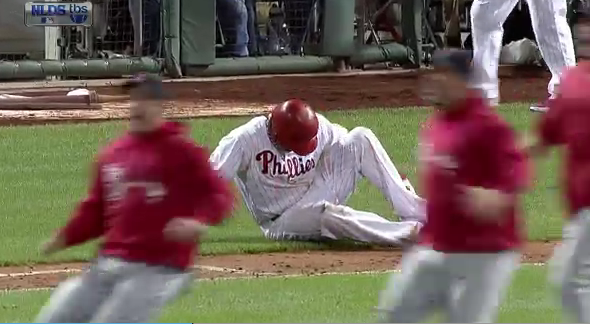 The Phillies scored 1 in the top of the 7th and with two outs in the bottom of the 9th tied the game. They would go on to win in 13 as the Braves lost 18 of their last 27 games including the last 5 games of the season. The Cardinals won 23 of 31 games after August 24th. It was incredible somehow the Cardinals had reached the playoffs. 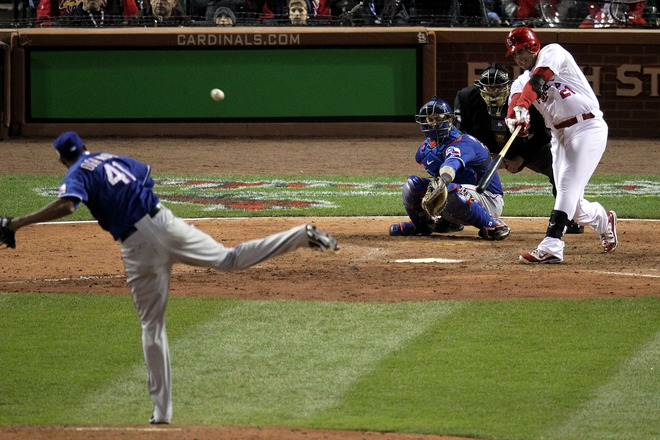 The Cardinals went into the NLDS as decided underdogs but despite that I had a strange feeling about this series. Philadelphia Phillies owned the best record in the regular season but were just 4-12 from September 11th to the 24th. The Cardinals had taken 3 of 4 from the Phillies during that period and the Phillies hitters were struggling. However in game one the Phillies seemed to be everything that they were advertised. 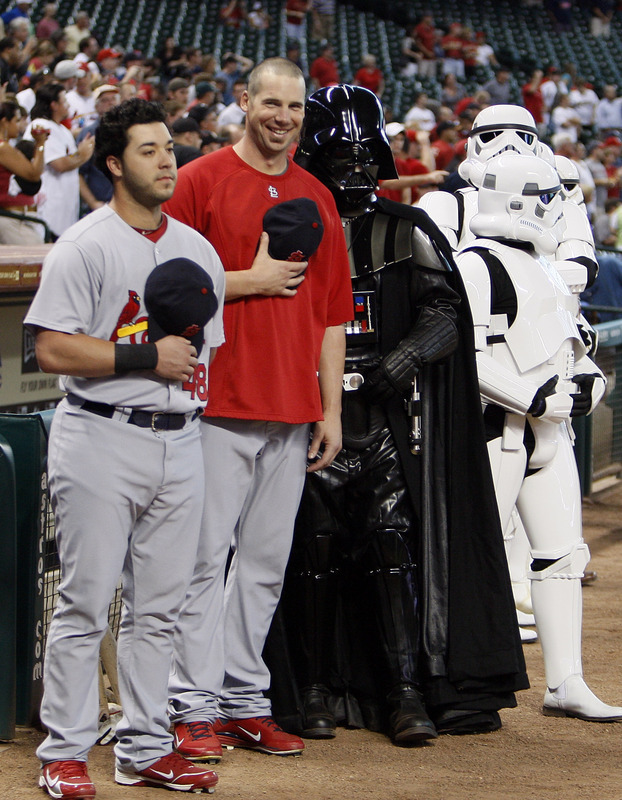 The slammed Kyle Lohse and the Cardinals 13-6 but in game two the Cardinals defeated Cliff Lee 5-4 to tie the series. That game was significant because Tony LaRussa stunned the experts by removing Chris Carpenter who had given up 4 runs from the game after 3 innings. He then used 6 relievers who shut out the Phillies as the Cardinals hitters plated 5 runs. 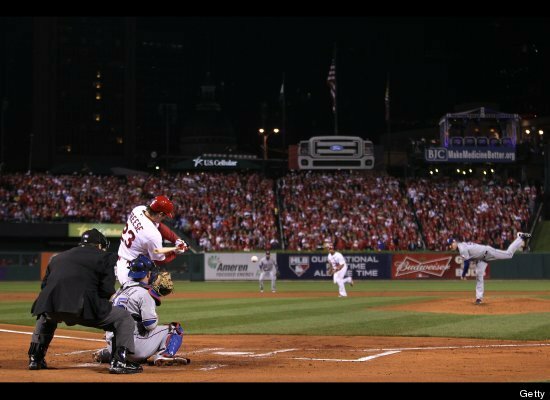 The series returned to St Louis and the Phillies took a 2 game to 1 lead in the series by defeating the Cardinals 3-2. The Cardinals who had been living on the edge since August appeared to be looking at an early exit from the playoffs. 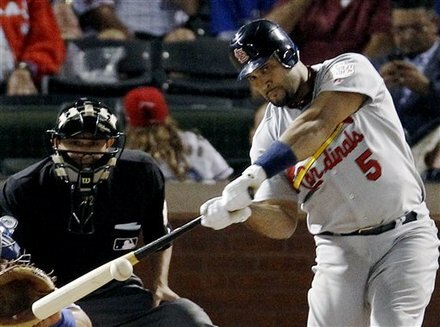 But the Cardinals were not dead, they won game four 5-3 powered by the hitting of Lance Berkman and David Freese. 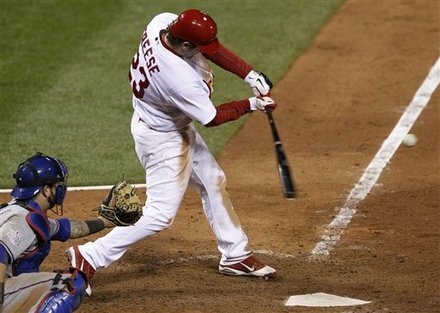 Freese drove in 4 runs hammering a two run double and to run home run off of Roy Oswalt. This sent the teams back to Philadelphia for the decisive game five. This was a battle of the best Roy Halliday on the hill for the Phillies and Chris Carpenter for the Cardinals. The Cardinals struck first for the only run of the game when Rafael Furcal tripled to lead off the first and scored when Skip Schumaker doubled. Halliday then shut down the Cardinals for 8 innings. 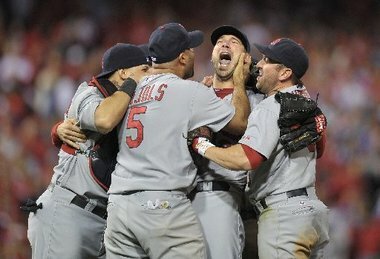 But Carpenter who had been battered by the Phillies in game two pitched a 3 hit shutout to win the game. The Cardinals had done the improbable, they beat Cliff Lee, Roy Halladay and Roy Oswalt and they had beaten the best regular season team in baseball, a team built to avenge their 2010 NLCS loss to the Giants and win the World Series. The Cardinals had taken out the Phillies but had to face the big bats of their division rival the Milwaukee Brewers to get to the World Series. Most experts picked the Brewers to win because they had the home field advantage and were billed as the better team. They had Cecil Fielder and led the NL in home runs and slugging percentage and they had home field advantage. Playing at home this was huge for the Brewers in 2011 they were 57-24 at home win percentage of .703 and their team batting average was 31 points higher at home than on the road. The Brewers and Cardinals split their 18 regular season games evenly but Milwaukee was 5-4 at home against the Redbirds and had outscored them 48-39 at home. Despite this the Cardinals had a better team batting average and led the NL and Brewers in every major offensive category except home runs and the teams had an identical slugging percentage of .425 while the Brewers pitching was somewhat better than the Cardinals. Game one went as many expected. Milwaukee won the game 9-6 and took a 1-0 lead in the series. 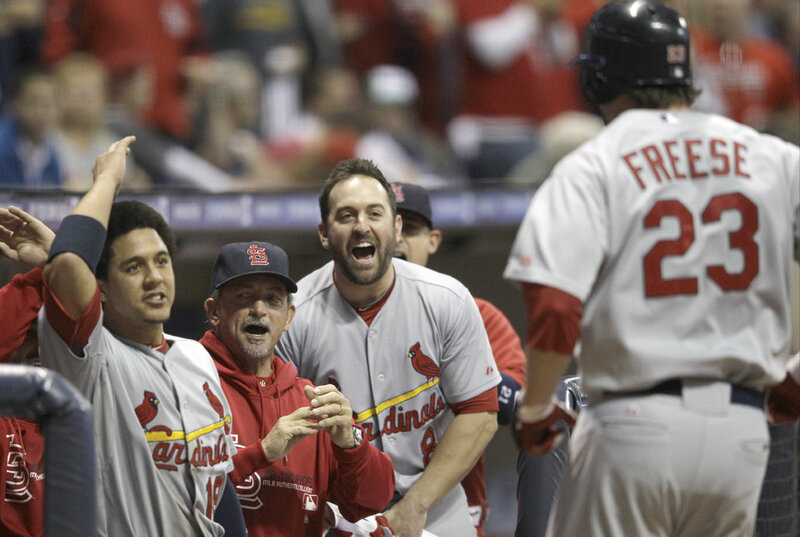 However the Cardinals turned the tables in a big way in game two shelling the Brew Crew 12-3 as Albert Pujols went 4-5 with a Home Run, three Doubles and 5 RBI while David Freese hit his second home run and 5th RBI of the series. It was a stunning loss for the Brewers and the series moved back to St Louis tied. The Cardinals took game 3 by a score of 4-3 as they scored 4 times in the top of the first inning and their LaRussa used Carpenter for 5 innings and then relied on his bullpen to shut the Brewers down and they did allowing no runs and no hits the remainder of the game. Pujols and Freese each doubled and brought their RBI total to 6 each. However the Brewers tied the series in game four winning the game behind the pitching of Randy Wolf. In game five the Brewers defense imploded giving up 4 errors. Matt Holiday went 3 for 5 with 2 RBI and the Cardinals beat Zach Greinke and the Brewers 7-1 taking a 3-2 lead but heading back to Milwaukee where the Brewers were expected to make a strong showing. In game six it was the Cardinals that turned on the offense and not the Brewers. 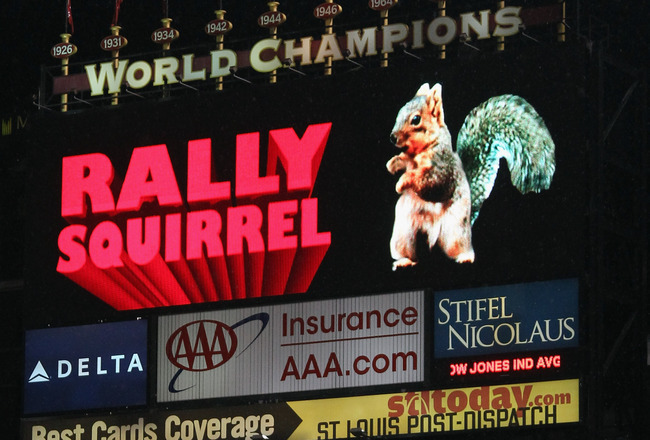 The Cardinals scored 12 runs nine of which were earned. They scored 4 runs in the top of the 1st inning and drove Brewers starter Shaun Marcum from the game, David Freese hit his third home run of the series. 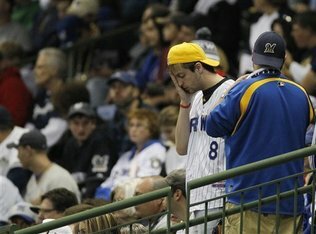 The Brewers brought Chris Narveson into the game in the top of the 2nd inning hoping to stop the Cardinals onslaught. Narveson faired worse than Marcum giving up 5 earned runs in 1.2 innings work and gave up home runs to Rafael Furcal and Pujols. The Brewers managed a respectable 6 runs four of which came off Cardinals starter Edwin Jackson who pitched just 2 innings. The Cardinals bullpen rose to the occasion, in 7 innings 5 relievers gave up just 2 runs on 3 hits. The expectation before the World Series began was the Cardinals and the Rangers would turn this series into an all out slugging affair. The expectation was partially met but games one and two were low scoring affairs that featured plenty of great defense and pitching. In game one it was solid defense and pitching which gave the Cardinals a 3-2 win over the Rangers. Rangers catcher Mike Napoli hit a 5th inning home run and drove in the only Texas runs of the game and David Freese drove in the winning run with a 6th inning double off of C J Wilson. Game two was a pitching duel that it looked like the Cardinals would win. Starting pitchers Colby Lewis of Texas and Jaime Garcia pitched extremely well. The Cardinals scored a run when Allen Craig singed off of Alexi Ogando who had come in to relieve Lewis with 2 outs in the 7th. Craig’s single scored David Freese and gave the Cardinals a 1-0 lead. But the Rangers managed a comeback win in the top of the 9th inning. The series went to Texas tied and it was expected that scoring would go up but no one expected the carnage that the Cardinals would inflict on the Rangers in game three. Albert Pujols tied the World Series single game home run record held by Reggie Jackson and Babe Ruth with 3 and the most RBI in a World Series game with six. The Cardinals defeated the Rangers 16-7 and took a 2-1 lead in the series. The Rangers may have been down but they were not out and instead of another slugfest game four as Derek Holland shut out the Cardinals allowing just 2 hits. Mike Napoli hit a 3 run home run off of Cardinals reliever Mitchell Boggs to ensure the win in the bottom of the 6th inning. Game five would be memorable for one inning, the eighth when it appeared that Tony LaRussa lost his managerial mojo and the Rangers scored a comeback win despite a strong performance by Chris Carpenter. This time the St Louisbullpen imploded aided by on field miscues and errors, malfunctioning bullpen phones and perplexing managerial decisions by LaRussa. The Rangers won the game 4-2 to take a 3-2 series lead into St Louis. It was the most amazing World Series game ever played but the first few innings would not have indicated this. They were marked a combined 5 errors and poor pitching and it looked like the Rangers were on their way to winning an unremarkable game six on their way to their first World Series championship. The Rangers led 7-4 with back to back solo home runs by Adriane Beltre and Nelson Cruz in the 7th inning and the Cardinals were down to their last six outs. But that changed in what became the greatest game in World Series history. The Cardinals came back 5 times in the game, a World Series Record. They were down to their last strike down by two runs twice and they won on a walk off home run in the bottom of the 11th. They used two pitchers as pinch hitters and somehow they still won 10-9 to set up the deciding game seven. 8:31 PM World Series Game 6 after an inning Cardinals 2 Rangers 1… 9:46 PM It’s a comedy of errors as Texas leads 4-3 in the top of the 5th inning…10:38 PM 4-4 bases loaded for the Cardinals, can’t believe 5 total errors in the game so far…10:36 PM Ogando is now O gone do another walk bases loaded again, Napoli saved the run by picking off Holliday. If the Rangers win the Series I spell MVP “NAPOLI”…10:44 PM The long ball, to solo home runs for Texas, Beltre and Cruz 6-4 Rangers… 10:58 PM 7-4…1100 PM ‎7-4 and the inning is done….Rangers now 9 outs from winning their first World Series….11:08 PM ‎2 outs bottom of the 7th…Pujols last stand as a Cardinal?…11:09 PM and he is out 0-4 tonight….unless the Cardinals get some base runners his St Louis career could end not with a bang but a whimper…11:19 PM 7-5 home run Allen Craig off Derek Holland…not done yet…11:27 PM 2 on 2 out are the Cardinals coming back?…11:28 PM bases loaded top of the order….Jon Jay gets his first hit since game 6 of the NLCS…11:29 PM Furcal bounces out…7-5 going to the 9th Pujols will bat again….11:43 PM Top of the 9th Neftali Feliz on the hill and top of the order up…11:43 PM 1 out…11:44 PM Pujols steps up and has a stand up double, tying run at the plate…11:46 PM four pitch walk 2 on 1 out winning run at bat…11:50 PM Craig strikes out Rangers one out away from history…11:52 PM one strike away…11:54 PM Freese doubles, tie game, home town boy makes good…11:54 PM make it a triple, winning run at 3rd…11:54 PM extra innings….wow…12:01 AM 1 on 1 out and Josh Hamilton has his first HR of the post season Rangers lead 9-7…12:09 AM Down 2 Cardinals are again down to their last 3 outs with one aboard…12:11 AM ‎2 on with none out, and a pitcher pinch hits because the Cardinals have no position players left…12:12 AM tying run in scoring position with 1 out…12:20 AM 9-8 Rangers, runner on 2nd Pujols coming up and an intentional walk Berkman will come to the plate…12:22 AM down to the last strike again…12:24 AM Tie game Berkman singles, Pujols is winning run on third…can you say amazing?…12:25 AM to the 11th we go…12:30 AM Napoli up… one out…base hit…Murphy coming to the plate…12:34 Rangers out in the 11th Cardinals coming to bat…12:40 AM Walk off home run David Freese, game 7 tomorrow! Do you believe in miracles? Cardinals win 10-9 Holy Cow! When gave six was over I knew that the Rangers were done. Once again it was a combination of Chris Carpenter and the Cardinals bullpen shutting down the Rangers and the clutch hitting of David Freese and Allen Craig which sealed the Rangers to a second consecutive World Series loss as they went down to a 6-2 defeat at the hands of the Cardinals. They had come so close. They were a great team but lost to a team of destiny. That is little comfort to Rangers players and fans, but some things seem almost destined. 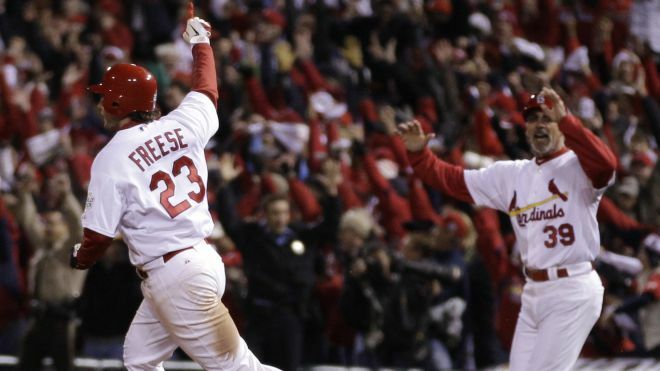 The Series MVP was local favorite David Freese who finished the postseason with a record 21 runs batted in and tied the postseason record with 25 hits. Freese is the first position player to be named both League Championship Series MVP and World Series MVP since Darrell Porter did so for the Cardinals in 1982. 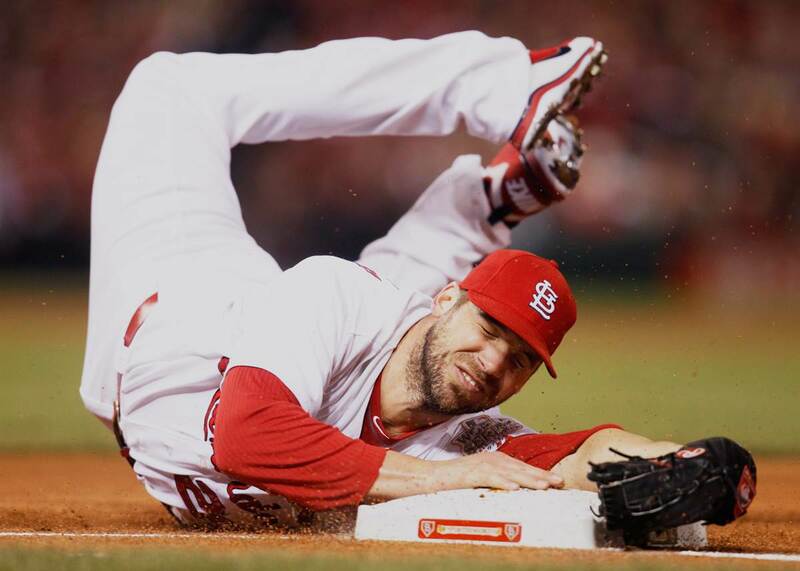 The Cardinals lived on the edge for two months a time when every game mattered. Their effort was a true team effort. When starting pitching faltered the bullpen got it done and when needed the starting rotation anchored by Chris Carpenter got the job done. They overcame adversity to accomplish a feat that very few said they could do. They are Major League Baseball’s 2011 World Series Champions. Their feat was epic and will long be written about and spoken of by anyone that loves the game of Baseball. 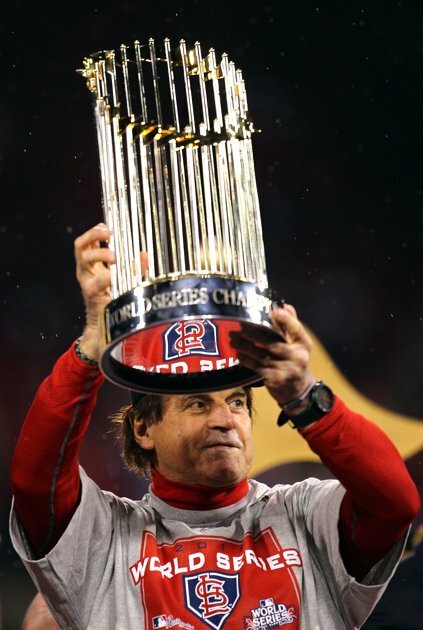 Tony LaRussa must have the Mad Cow. The future Hall of Fame manager who renowned for micromanaging games inning by inning seems to have lost his managerial mojo and isn’t admitting it. Now the Texas Rangers who have played excellent baseball are one game from winning their first World Series. The first thing that mystified me were the unexplainable steal attempts and mix ups on the base paths that killed the Cardinals chances of blowing open the game. 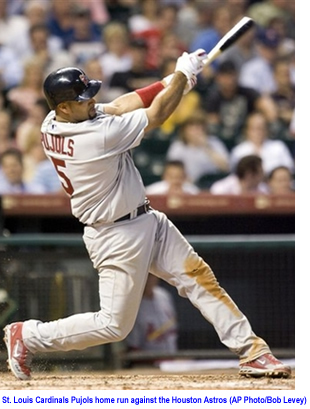 One of the most puzzling plays was when in the 7th inning Pujols called a hit and run with Allen Craig on first and Alexi Ogando pitching him carefully. Pujols did not swing at a high pitch that was way out of the strike zone and Craig was caught stealing. Ron Washington then had Ogando intentionally walk Pujols to get the Matt Holliday who has been in a World Series funk, hitting just .167. Holliday singled and Lance Berkman was intentionally walked to load the bases but David Freese flew out to center to end the inning. In the 9th with Neftali Feliz pitching and Pujols at bat with no outs Craig ran as Pujols struck out swinging and was thrown out at second to complete a double play. The Cardinals left 12 men on base including 8 in scoring position and as the game progressed I knew that the Cardinals were going to find a way to lose the game. It didn’t matter how well Chris Carpenter pitched or how well their defense played as the game moved on I knew that the blown scoring attempts were going to doom the Redbirds Monday night. But the real mystery was the 8th inning. With the game tied and one out with Michael Young on second base LaRussa had ace set up man Octavio Dotel intentionally walk Nelson Cruz. He then sent in left hander Marc Rzepczynski to face David Murphy. I guess that the idea was to set up a double play but Murphy hit an infield single sending which loaded the bases with Mike Napoli coming to the plate. Napoli has been hotter than exploding napalm during the post season and has been feasting on left handed pitching. And this is where the game gets even weirder. With Napoli coming to the plate one would expect to have LaRussa send a right handed pitcher to the mound, someone like Jason Motte. But no right hander emerged in fact none were even warming up. This forced Rzepczynski to have to face Napoli who hit a double into the gap in right center field scoring two runs and giving the Cardinals their first lead of the night. Rzepczynski stayed in the game and struck out Mitch Moreland to get the second out. With the horses out of the barn a right hander came in but it was not Motte, it was Lance Lynn who was only supposed to pitch in an emergency situation. 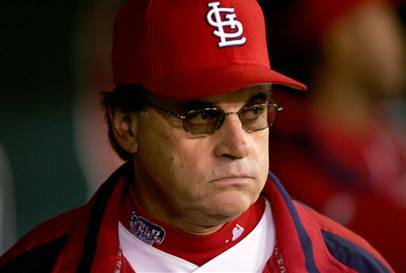 LaRussa had Lynn intentionally walk Ian Kinsler to get Motte some warm up time. Motte finally entered the game and struck out Elvis Andrus to end the inning. LaRussa said after the game that he had wanted Rzepczynski and Motte up but Bullpen Coach Derek Lilliquist said that he did not understand LaRussa due to the crowd noise. When LaRussa called to get Motte up Lilliquist claimed that he misunderstood and sent up Lynn who was not supposed to pitch. To make matters worse, Dotel said that he was surprised that he was not allowed to pitch to Nelson Cruz. Game 6 is scheduled for Wednesday night inSt Louis. However rain is in the forecast and there is a possibility that it could be postponed. Colby Lewis will get the start for the Rangers and Jaime Garcia for the Cardinals. Both pitched well in game 2 and the Cardinals have the advantage of playing at home and by National League rules which means with no Designated Hitter that Texas will have one less big bat in the lineup. This will be a game of bullpens and pinch hitters; I don’t expect either pitcher to go 7-8 innings as happened in games 4 and 5 in Texas. However the Cardinals have to win both games and Texas has not lost two games in a row in a month and a half, but this is where the Cardinals play their best ball and of the 10 World Series titles the Cardinals have won in their illustrious history they were down 3 games to 2 in three of them. I still think it goes 7 games but the Cardinals and LaRussa have to get their grove back on. If not their miracle season will become a memorable footnote in MLB history. 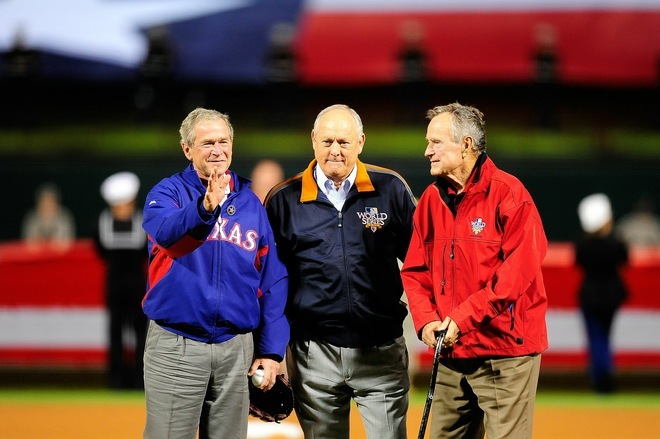 On a night that featured the appearance of two Presidents for the ceremonial first pitch’ the San Francisco Giants defeated the Texas Rangers and stand one win from their first World Series title since they played in New York’s Polo Grounds in 1954. Once again it was pitching and timely hitting that won the day for the Giants with the Giants’ pitching staff led by Madison Bumgarner shutting out the Rangers for the second time in four games leaving the potent Rangers’ lineup in a state of bewildered befuddlement. The young rookie held the heart of the Rangers’ order; Josh Hamilton, Vladimir Guerrero and Nelson Cruz to 1 hit in 9 at bats and only allowed 3 hits in 8 innings work striking out 6 and walking just two. He became the fourth youngest pitcher to win a World Series game shutting down an offense that feasted on left-handed pitchers all season. 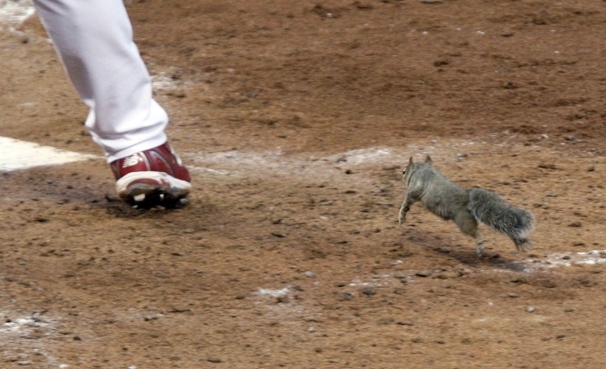 He allowed just three singles and only one runner reached 2nd base for the Rangers. Giants’ hitters had timely hits when they matter the most. 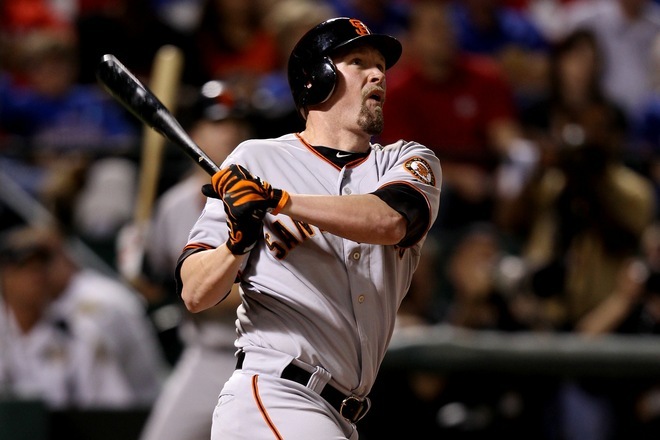 They were led by journeyman Aubrey Huff who led the team in home runs in 2010. Huff plastered a pitch by Rangers’ starter Tommy Hunter deep into the right field seats in the top of the 3rd inning. The Giants added another run in the 7th inning when Andres Torres doubled to score Edgar Renteria and a final run in the top of the 8th inning when Buster Posey hit his first ever World Series off Darren O’Day to deep center. 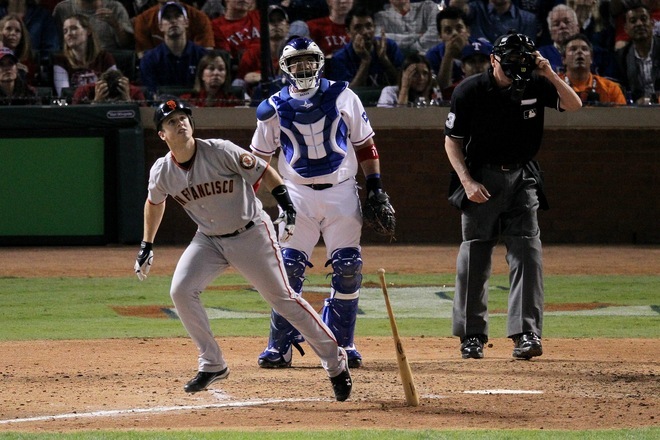 The Giants used closer Brian Wilson to finish the game in a non-save situation with Wilson mowing down the top of the Rangers order taking 11 pitches to get Elvis Torres to fly out and to strike out both Michael Young and Josh Hamilton to end the game leaving the Rangers perplexed and Nolan Ryan visibly bothered at the lack of hitting exhibited by the Rangers. The Giants had 4 runs on 8 hits leaving and an error leaving 6 men on base. Edgar Renteria went 3-4 and Andres Torres 3-5 in the effort with Huff and Posey adding the home runs. Meanwhile the Rangers continued their dismal hitting with no runs on 3 hits and no errors leaving 3 stranded. 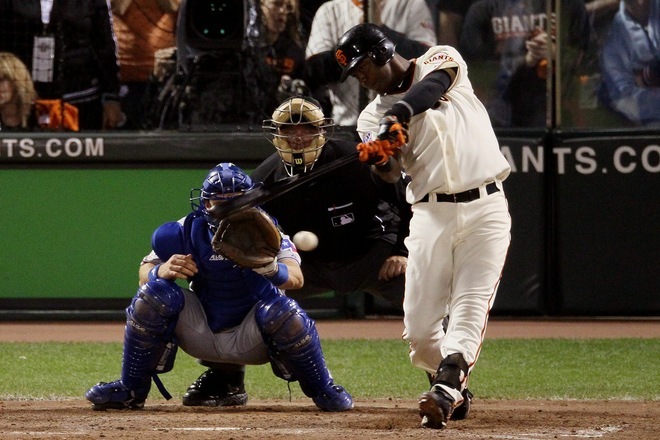 Vladimir Guerrero struck out 3 times in 3 at bats against Bumgarner. They will have to solve the riddle of Giants pitching against Tim Lincecum in game 5 on Monday night. With the exception of a booted ball by Juan Uribe in the 8th inning the Giants played spectacular defense, especially Second Baseman Freddy Sanchez. It was like Earl Weave said “the key to winning is pitching fundamentals and three run home runs. The Giants didn’t get the three run blast but they did get two homers while the pitching and defense took care of themselves. Bumgarner got the win while Tommy Hunter got the loss. 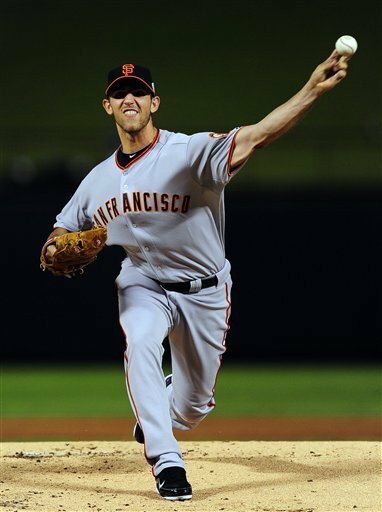 Monday night the teams meet for game 5 with a pitching rematch between Tim Lincecum and Cliff Lee. I expect the matchup to be good and for this to be another game of tortureball no matter which team wins as the Rangers stand at the brink of elimination and the Giants on the precipice of history. We Baseball fans it is that time, time to pick the winner of the World Series. This series is very interesting because no-one saw this series coming. Perhaps it is the bias of many sports writers to the East Coast that had most predicting a Yankees-Phillies matchup. Regardless the Rangers and the Giants are in the series and both teams are looking to break long term World Series droughts the Giants going back to 1954 when they were still in New York at the Polo Grounds and the rangers to their establishment in 1961 as the expansion Washington Senators. The teams go into the series with similar regular season records the Rangers finishing the regular season 90-72 and defeating the Tampa Bay Rays 3-2 in the NLDS and the New York Yankees 4-2 in the ALCS to get to the World Series. The Rangers have some outstanding players the most notable being Cliff Lee (12-9 3.18 ERA) and slugger Josh Hamilton. They are backed by some other outstanding players such as starting pitcher Tommy Hunter (13-4 3.78 ERA), Shortstop Elvis Andrus and Outfielder Nelson Cruz as well as their young closer Neftali Feliz (4-3 2.37 ERA 40 Saves). The Rangers had a team batting average of .276 a .338 OBP a .419 SLG and .757 OPS. 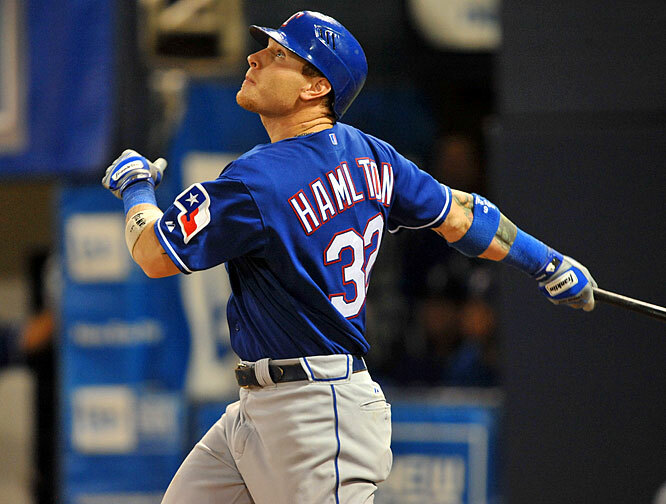 The Rangers hit 162 home runs and scored 787 runs in the regular season led by Josh Hamilton who hit .359 with 32 home runs and 100 RBIs. Lead by Cliff Lee the Rangers’ pitching staff had a 3.93 team ERA allowing 636 Earned Runs and 162 Home Runs while giving up 551 Walks, 24 Intentional Walks and striking out 1181. The Rangers’ pitchers allowed an average 8.4 hits, 1.0 Home Runs, 3.4 Walks and 7.3 Strikeouts per 9 innings. Cliff Lee who dominates other clubs has done so with the Giants in the past but has not faced them this year. Lee is 3-0 with 1.13 ERA in three career starts against San Francisco while holding Giants to a .159 batting average. The last time Lee faced the Giants was with the Phillies in 2009 and Cody Ross has had success against Lee. The Rangers committed 105 errors and a .982 fielding percentage. The Giants finished the season 92-70 and defeated the Atlanta Braves 3-1 in the NLDS and the Philadelphia Phillies 4-2 in the NLCS. The key to the Giants success has been their pitching which was led by great young starters including two time Cy Young winner Tim Lincecum (16-10 3.43 ERA 231 Ks) as well as the excellent Matt Cain (31-11 3.14 ERA 177 Ks) and Jonathan Sanchez (13-9 3.07 ERA 205Ks) and Rookie Madison Bumgarner (7-6 3.00 87 Ks). The Giants also have a topflight bullpen which is anchored by closer Brian Wilson (3-3 1.81 ERA and 48 Saves). Their offense has not been their strong suit but on occasion they have had good run production and have managed to get timely hits all through the season to allow them to win many low scoring games which were dominated by Giants pitching. The Giants hit 162 Home Runs, had 687 RBIs and had a team .257 batting average, a .321 OBP, .408 SLG and .729 OPS. Their leading hitter was Aubrey Huff who hit .290 with 26 Home Runs and 86 RBIs and rookie Catcher Buster Posey who was called up from Triple-A Fresno on May 31st and hit .305 with 18 Home Runs and 67 RBIs. Their pitching staff had a 3.36 team ERA and allowed 546 Earned Runs, 134 Home Runs, 578 walks, 58 Intentional Walks while striking out 1331 batters. They gave up an average 7.9 hits, 0.8 Home Runs, 3.6 walks and averaged 8.2 strikeouts per 9 innings. 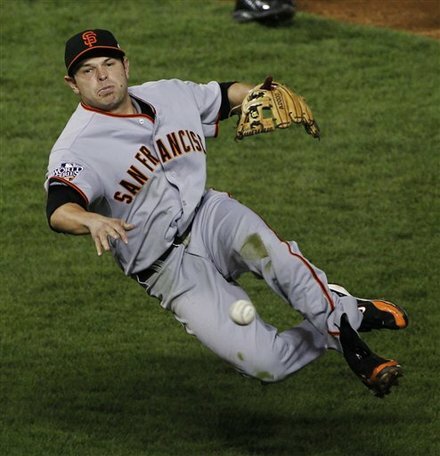 In addition the Giants led the National League in fielding allowing only 73 errors for a .988 fielding percentage. One possibly overlooked statistic is their records against common opponents. They played the Red Sox, Orioles, Cubs Marlins, Astros, Brewers, Athletics, Pirates and Blue Jays. 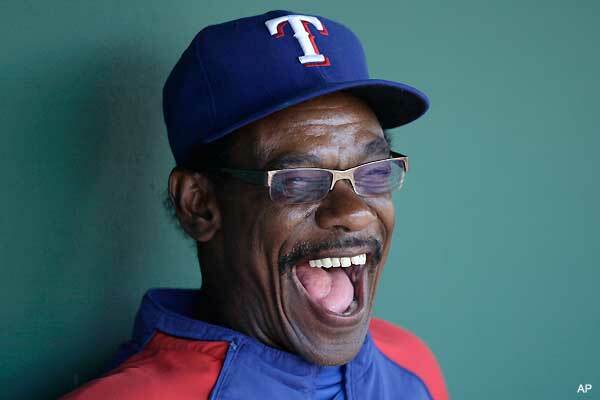 The Rangers went 37 and 30 and a .552 winning percentage. The Giants went 33 and 18 against the same opponents for a .647 winning percentage. The Giants also have the home field advantage, a ballpark that is not a hitter’s park where they had a 49-32 record in 2010. The Giants lead the all-time series against Texas 15-7 and have won last seven meetings (2001-09). The Rangers have lost 11 in a row in San Francisco, where they are 2-12. Both teams have had amazing seasons with tremendous stories of comebacks as well as stories of personal redemption. There is also the story of a band of cast offs, and a pack of eccentric pitchers that do amazing things. Giants win in seven games of Giants’ Baseball, better known as “torture-ball” for their first World Series title since 1954.